A hermeneutic engagement with Maithili folk songs allows this book to hinge upon the notions of living and dying in the contemporary world despite the admission that medicine, insurance, market, and media may condition human experiences. Amidst the binaries of union and separation, rigid religion and fluid faith, popular and folk, modernity and tradition, central to this book is the pluralism of cultural script(s) and their philosophical musings on living and dying, folk philosophy, cultural subversion as well as reconciliation. Predominantly sung by women, the folksongs of Mithila are woven around calendar of events, rites of the passage, and everyday life situations. The cultural scape of sound and sight thus conjures a fusion of epistemology and ontology, knowledge and existential being, the classical Sanskritic-textual and the folk subaltern-oral. 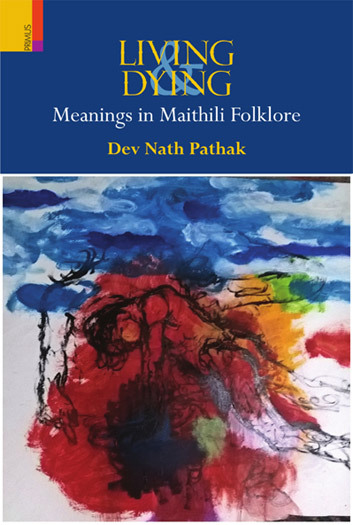 Straddling the particular context of Maithili folksongs and the generic aspects of folk world view, steering across Hinduism, tradition and modernity, and folklore in the age of mechanical reproduction, this book contributes to the sociology and social anthropology of, inter alia, folklore, religion, gender and mythology. Moreover, this makes for a contribution into sociology and social anthropology of death in South Asia. The Author Dev Nath Pathak teaches Sociology at the South Asian University, New Delhi. His current research interest focuses on the popular and performative cultural politics in South Asia. His publications include Intersections in Sociology, Art and Art History: A Conversation with Parul Dave-Mukherji (2016) and Performative Communication: Cultural Politics in South Asia (forthcoming). He is reviews editor of Society and Culture in South Asia, journal of Department of Sociology, South Asian University.